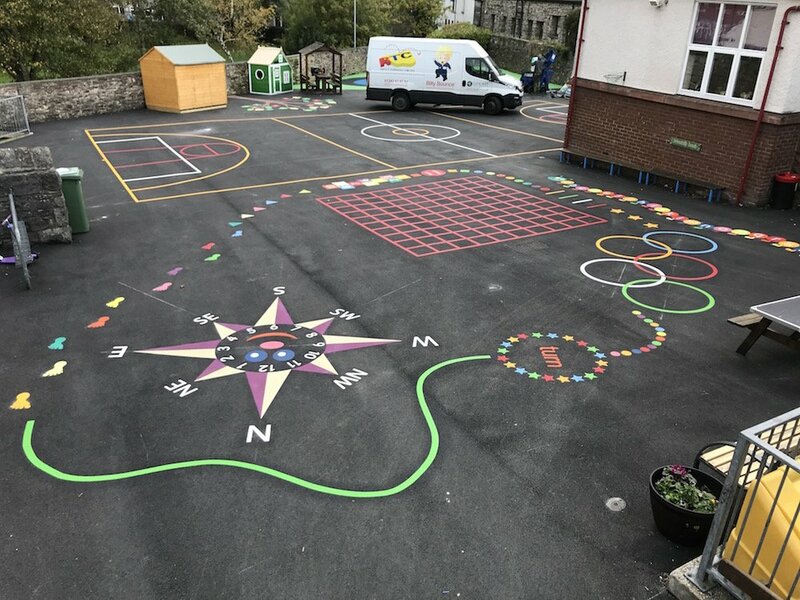 Our installation team travelled to Ulverston in Cumbria to install a new vibrant range of Playground Markings for Chruch Walk Primary School. 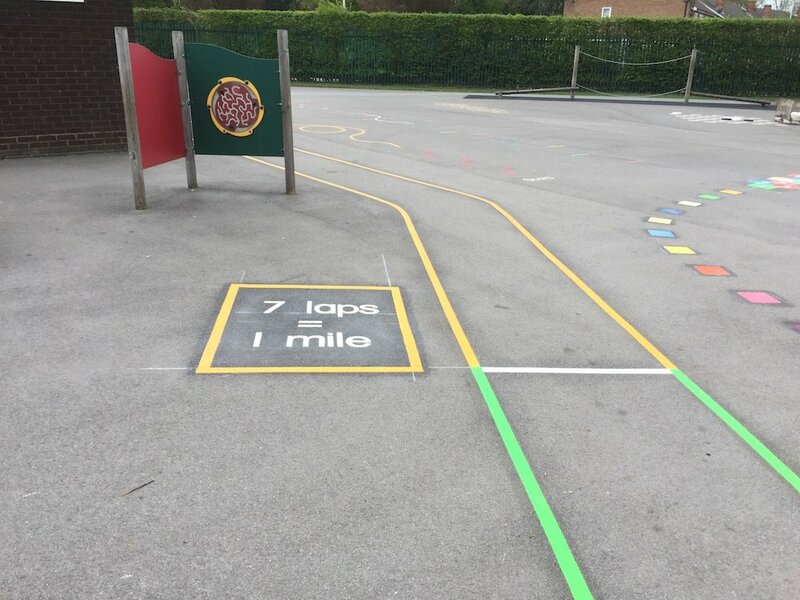 Our installation team travelled west from our office in Gateshead to Ulverston in Cumbria to install a range of playground markings for Chruch Walk Primary Shcool. 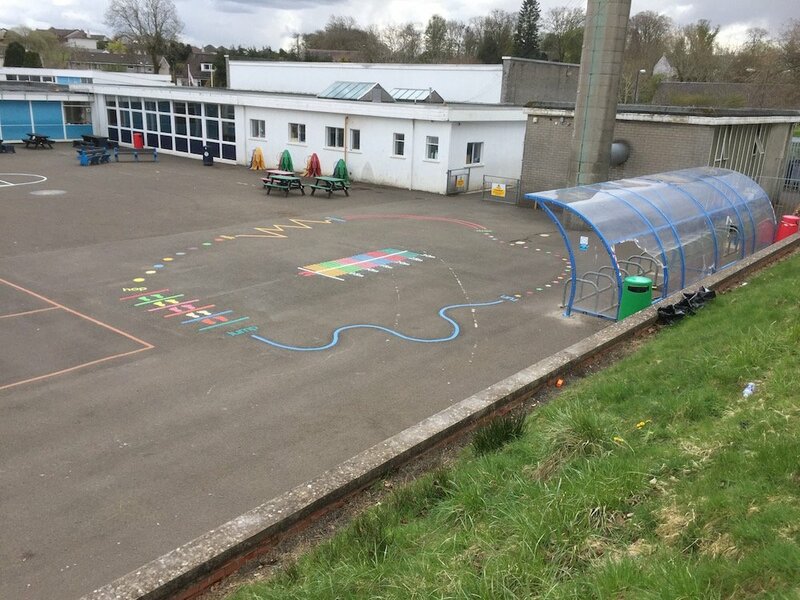 These markings consisted of an Olympic Trail, a Smiley Face Clock Compass, a Blank 10 x 10 Grid, a Multi Court, a 1-100 Snakes and Ladders Grid and an Alphabet Tree. 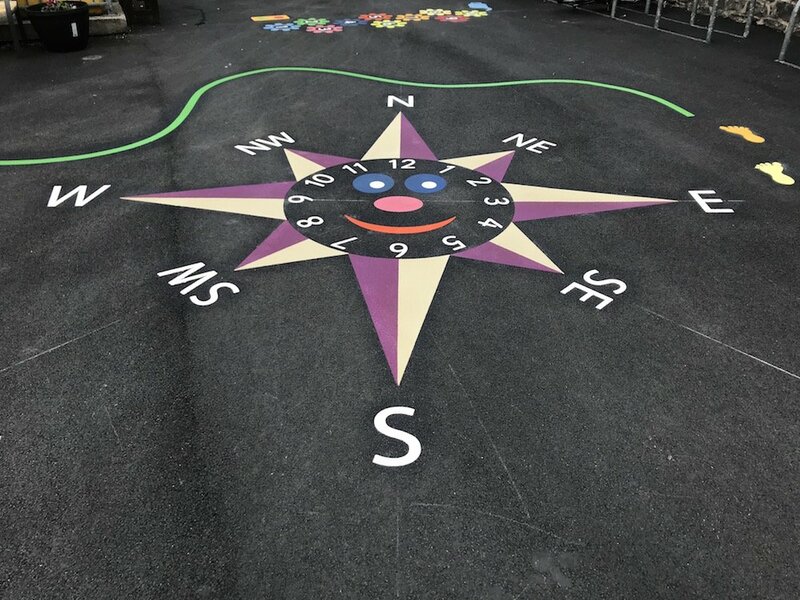 Firstly, the team installed this Smiley Face Compass Clock. The Smiley Face Compass Clock is a great tool for teaching KS2 children to tell the time and understand the points of the compass. 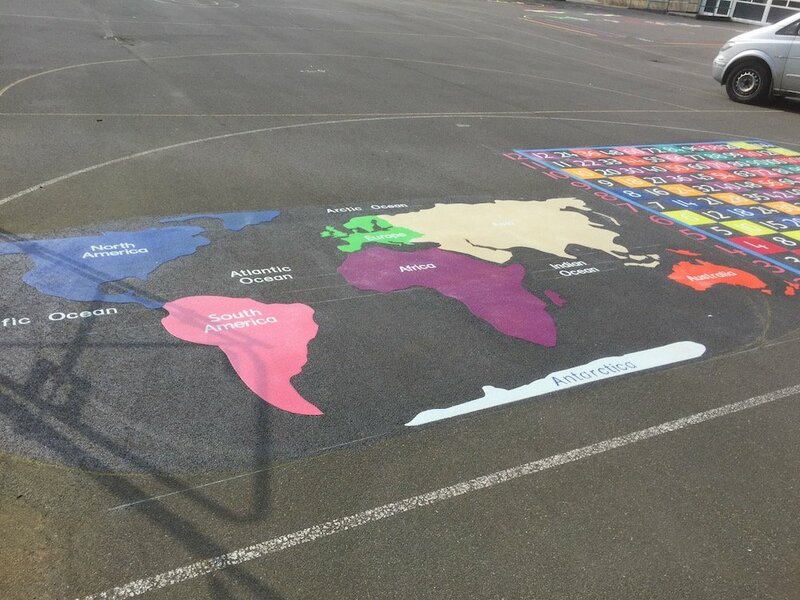 All of our compasses’ at first4playgrounds point north. 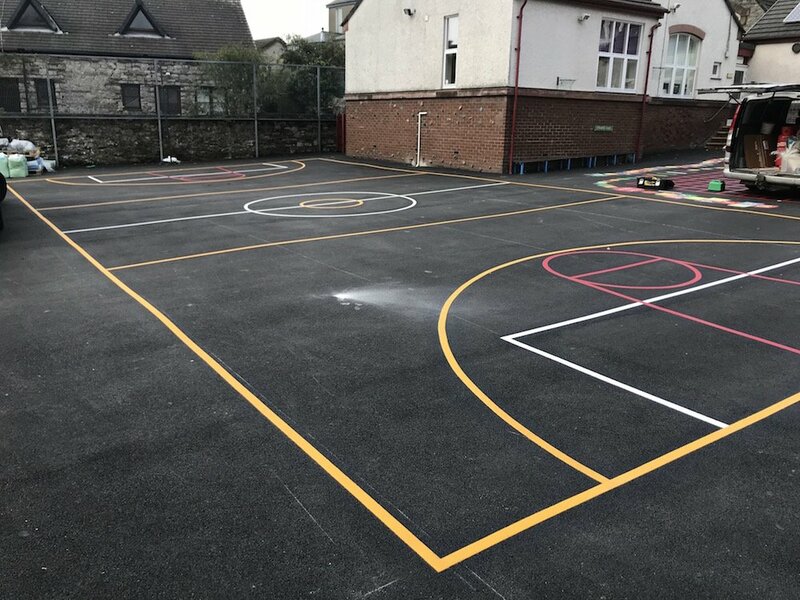 Next, the team installed this Multi-Court. 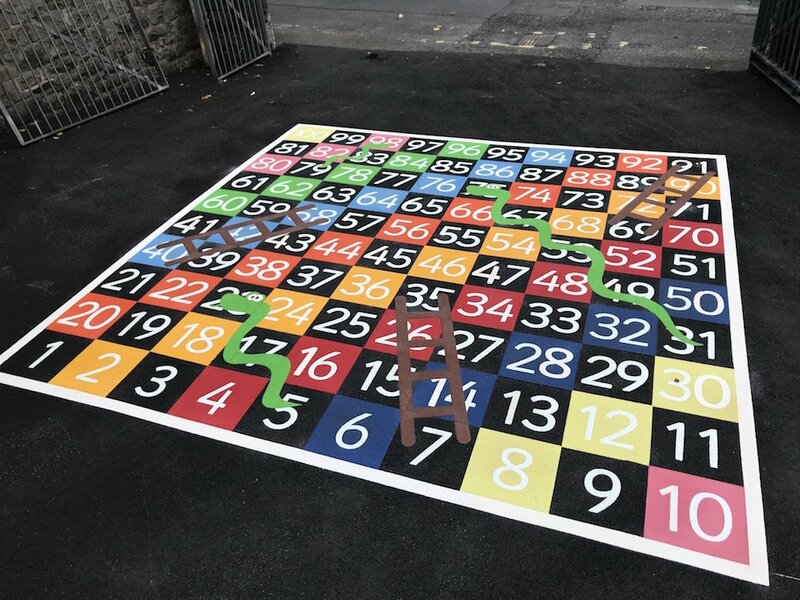 After that, the team installed this 1-100 Snakes and Ladders. 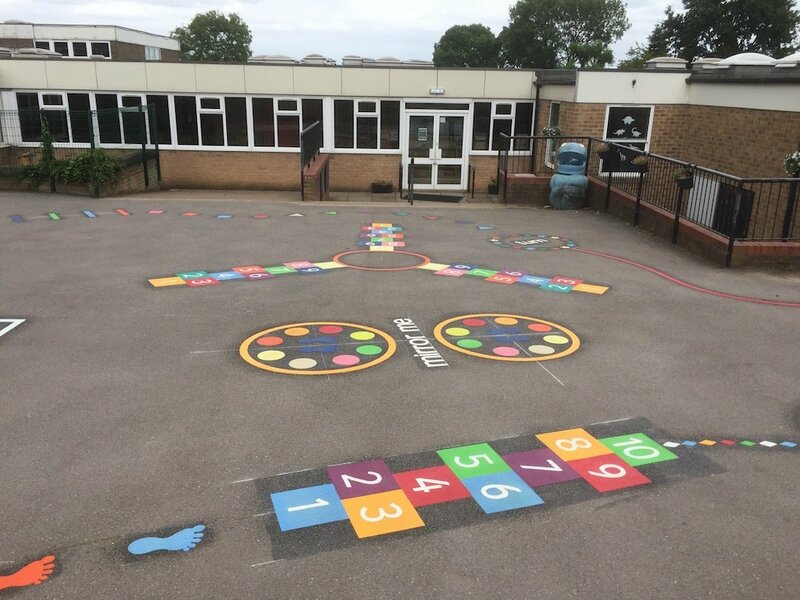 The traditional game snakes and ladders is a great playground marking for children of all ages. 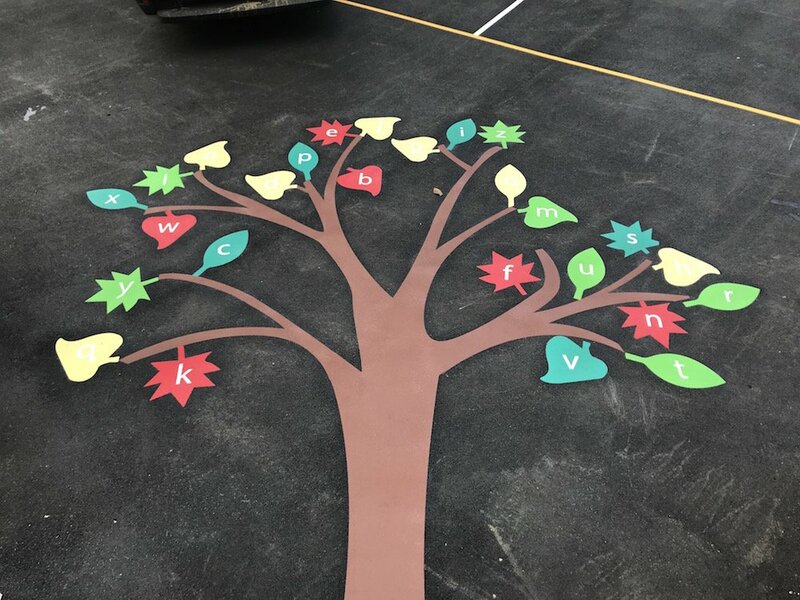 Lastly, the team installed this Alphabet Tree. 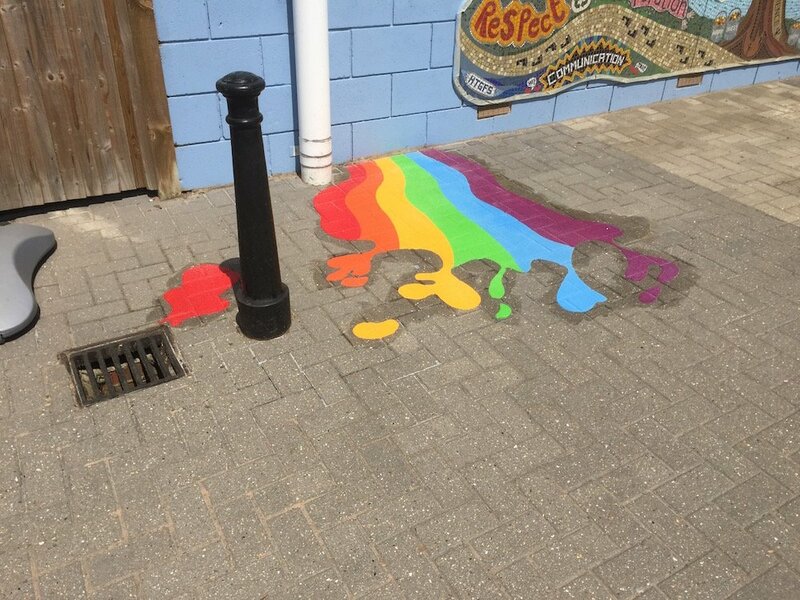 This is a colourful tree with the 26 letters of the alphabet on individual leaves. 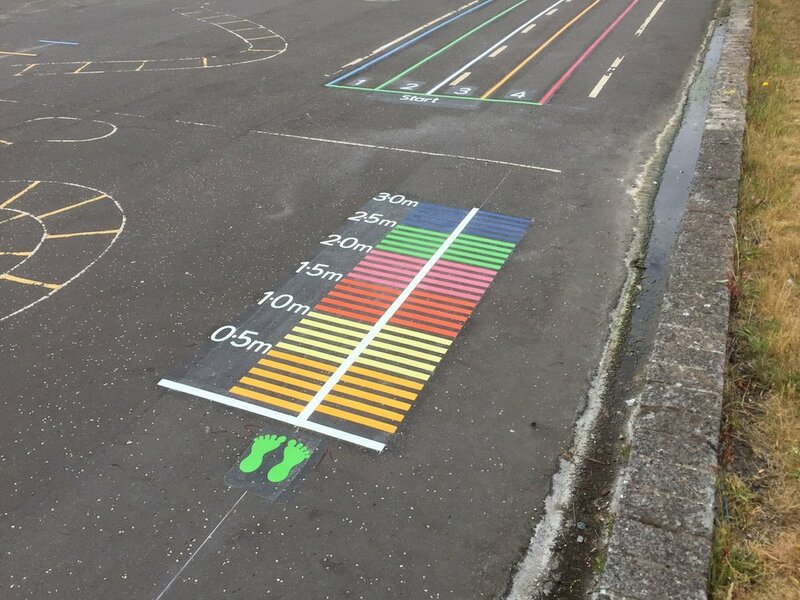 It is a fantastic learning aid to teach children the alphabet whilst having fun and keeping fit. 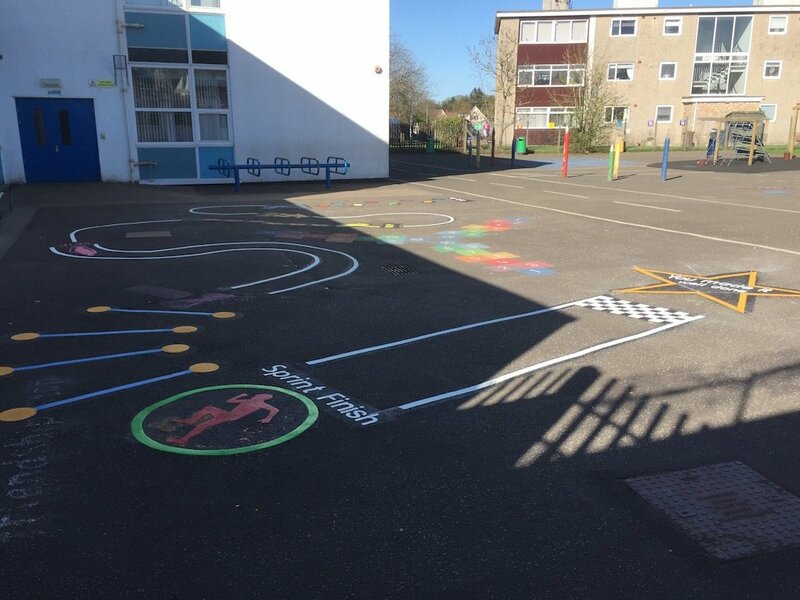 The children can make up their own words by running and jumping from leaf to leaf.